GETTING READY FOR "RISE OF THE MACHINES"
Kristanna Loken has been cast as the female lead role in Warner Bros./Intermedia Films' "T3: Rise of the Machines," the third installment of James Cameron's "Terminator". The feature will be directed by Jonathan Mostow. Shooting begins April 15. Loken will portray "T-X", the most vicious Terminator ever created. "T3" will be produced by C-2 Pictures' Mario Kassar, Andy Vajna and Joel Michaels with Hal Lieberman and Colin Wilson. Intermedia co-chairmen Moritz Borman, Nigel Sinclair and Guy East are executive producing. Loken recently appeared on "D.C." for the WB Network, plays a recurring character on ABC series "Philly" and has been a series regular on "Mortal Kombat: Conquest" and "Pensacola: Wings of Gold." Schwarzenegger : "I think it's a brilliant script. The next Terminator will be a woman and she is the main villain. I play both good and bad. Sometimes I'm the villain and other times I'm the guy who can potentially save the kid and the world. 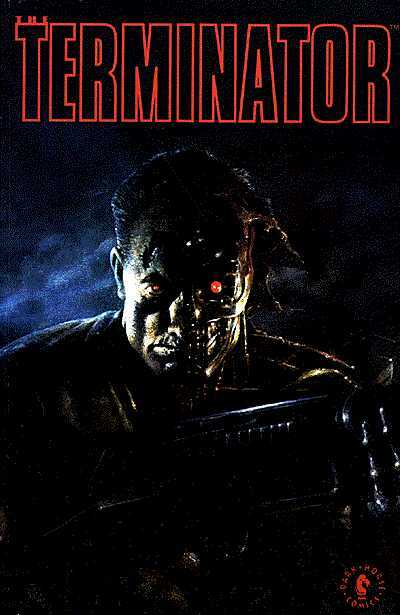 The plot goes back and forth; it's a great suspense story ... technology has changed so much now, that there are a lot of things that we will be able to do with special effects that we were not able to do in Terminator 2. I'm really looking forward to those new ways of entertaining people. CLICK HERE FOR MORE "T3"
In this taut, apocalyptic actioner, a cool-looking and ruthless robot travels back from a future in which man's technological creations rule the planet and hunt humans; his mission: track down and kill the woman whose as-yet-unconceived child will one day lead the human revolt against the evil machines.